XKALIBRE 2 in 1 Roof Bedding & Pointing is a flexible, waterproof cement & sand compound with premium grade additives that gives you a better, more flexible, stronger and waterproof finish. This product is ideal for ridge and hip roof tiles and meets Australian standards. 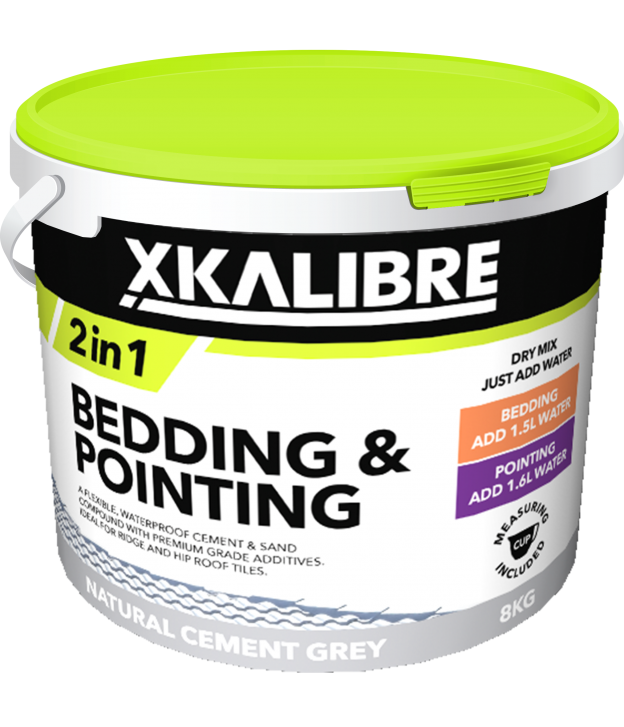 This product can be used to make bedding & pointing depending on the amount of water mixed with the product. Included in the bucket is a handy measuring cup.